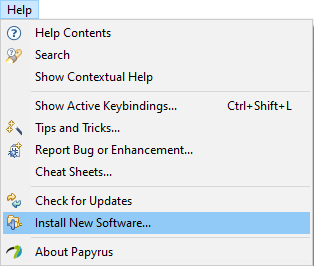 Select Help -> Install new software from the main menu to bring up the Installation Wizard. Click the Add... button to bring up the Add Repository popup dialog. Click OK to let Eclipse look up an display the add-ins that are available on the location. Make sure the Group items by category check box is checked. 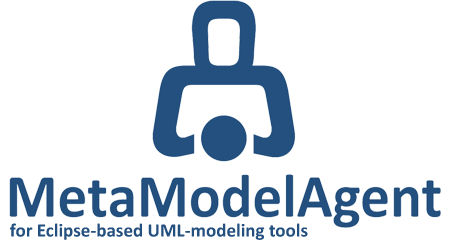 Select the appropriate edition and version of MetaModelAgent from the list of available software packages. Read and accept the license agreement on the subsequent page and click Finish to start installation. Accept the signed certificate and click OK to complete the installation. When the installation is complete, you will be prompted to restart the workbench. 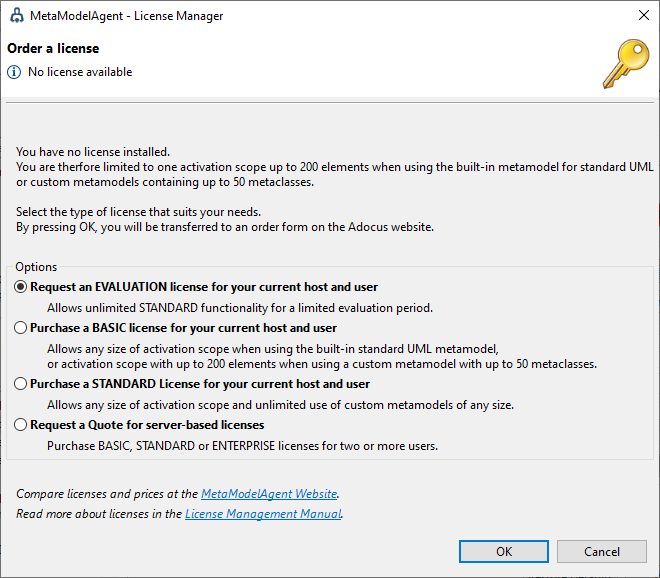 To be able to use MetaModelAgent after installation you need to request and install a valid license. There are several kind of licenses available, depending on your needs, see the MetaModelAgent License Comparison Chart. The steps below describes how to request a personal license for your current host. 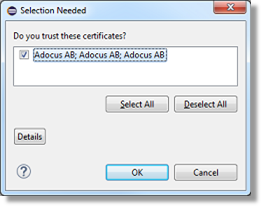 If you are interested in larger quantities Request a quote from Adocus for server-based licenses. Select Window->Preferences in the main menu. 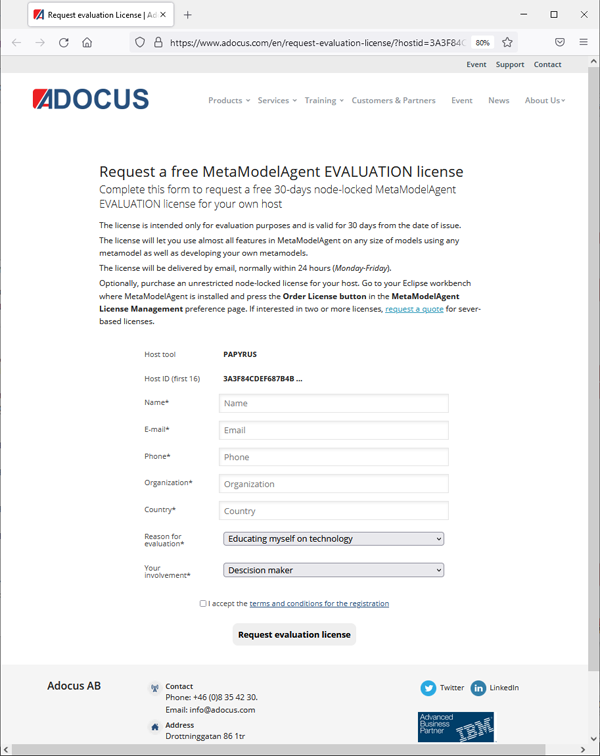 Open MetaModelAgent/License Management preference page. Click the Order a License button to bring up the License Request dialog. 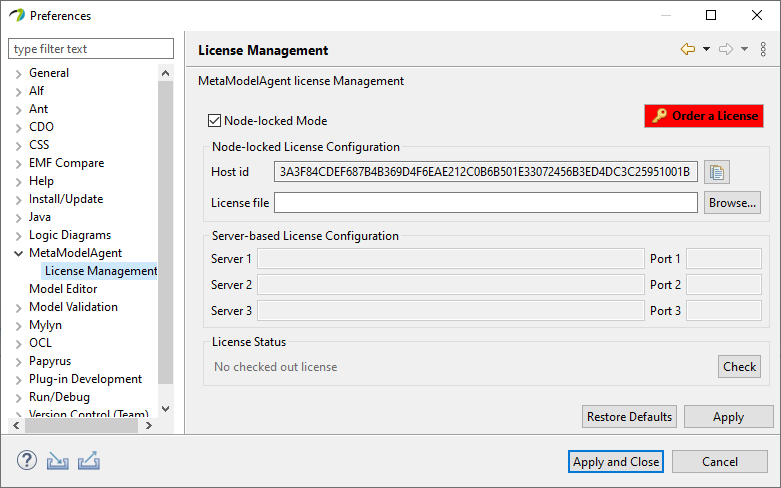 Alternatively, you may open any existing model in the Project Explorer which will automatically bring up the License Request dialog if no license is installed. Select the kind of license you would like to request and click OK.
See License & Prices for details. You will be automatically transferred to the corresponding license order page at Adocus website. If your Papyrus or RSA installation do not have a connection to a web browser. Please send us an email to license@adocus.com with your license request together with your host id and we will help you. Fill in requested fields on the license order page and click the Request/Order button. In the case of purchase you will be directed to our transaction partner DIBS for paymeant using your credit card. Normally within 24 hours (Monday-Friday) you will receive a license key by email. 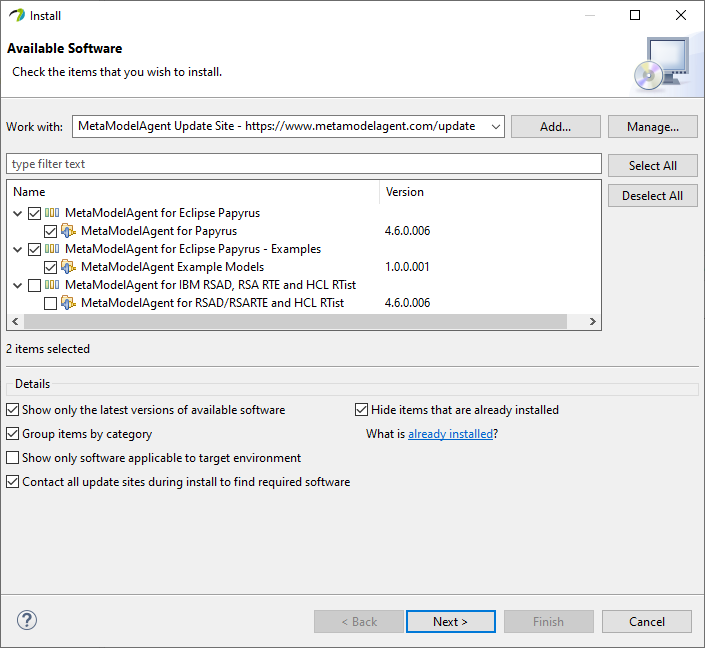 Install the license key as described in the email and start using MetaModelAgent.